Description: we supply all kinds of hair products,such as human hair full lace wigs,glueless lace wigs,lace front wigs,360 lace wig,u part lace wig,celebrity lace wigs,human hair bundles,clips hair extensions,human hair lace closure,human hair lace frontals,360lace frontals,synthetic lace front wigs.we always keeps great price,fast shipping,and top quality. 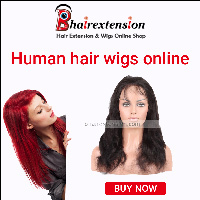 Bhairextension a reputed hair boutique, selling high-quality hair extensions and lace wigs products online at affordable prices. 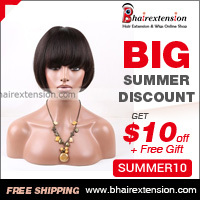 Bhairextension company is professional on both quality synthetic lace wigs and human hair products. We are committed to bring our customers the best shopping and service experience. We hope our product can bringing our customer confident and energy. •Coupons & deals available on regular intervals.